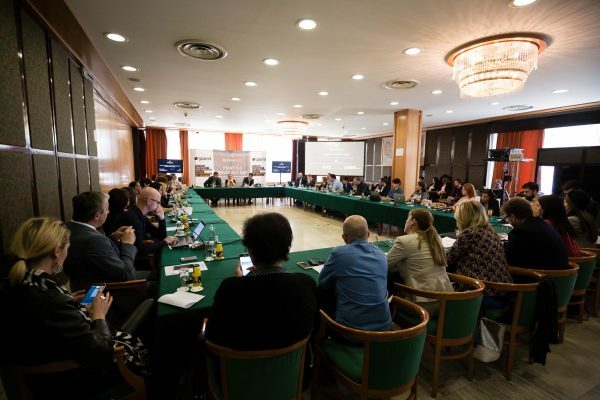 Point 6.0 conference that is taking place in Sarajevo, Bosnia and Herzegovina from 24 to 28 May, started with the ACTION SEE Advocacy Day and the presentation of the results and recommendations gathered through the monitoring done for the Regional Openness Index for 2016. The Openness Index is a tool for measuring openness of public institutions, designed to cover broad issues, but always paying attention to their effect on citizens and their quality of life. The project is conducted by the ACTION SEE Network (Accountability, Technology and Institutional Openness Network in the South East Europe region), a network of civil society organizations from the region: Metamorphosis Foundation from Macedonia, Center for Democratic Transition (CDT) from Montenegro, Center for Research, Transparency and Accountability (CRTA) from Serbia, CA Why not from Bosnia and Herzegovina, Westminster Foundation for Democracy, Open Data Kosovo and Mjaft from Albania. Regional Index of Openness measures the degree of openness of parliaments based on four principles. Transparency is a principle that is fulfilled if organizational information, budget and public procurement procedures, are published and publicly available; accessibility is a principle which relates to providing and abiding the procedures related to freedom of information and strengthening interaction with the citizens; integrity includes mechanisms for prevention of corruption, carrying out the ethical code practices and regulation of lobbying; and awareness includes monitoring and evaluation of institutions’ policies. The index is designed for citizens to examine the openness of public administration and other public bodies, but it can useful to managers and politicians, giving them the citizens’ point of view to evaluate their work and make progress towards more openness. Through the research, the work of 8 parliaments in 6 countries was followed. In general, parliaments in the region fulfill approximately 63 percent of the openness criteria – results that cannot be called satisfactory. The conclusion is also that parliaments are generally not transparent in terms of disclosure of information from committees’ sessions and fail to meet even the minimum of international standards of budget transparency. In order to improve this, the network recommends that the parliaments in the region should sign the Declaration on Parliamentary Openness and work towards its implementation. The initial research was conducted in six countries of the region so far, and more than 25.000 indicators were used. The measurement covers the whole government, including local level, state levels, judiciary, executive and legislative branch of government. The representatives of the network concluded that, in general, we cannot be satisfied with the results gathered through the research. In the executive branch, for example, “the institutions do satisfy less than half of indicators,” Milica said. However, the main conclusions of the research regarding the executive is that there is no strategy of openness in any of the countries in the region, so the unified approach is lacking and there are huge differences in openness between the institutions in each country. The research demonstrated that many things are done ad hoc, and that openness, in practice, depends mostly on the management of each individual institution, meaning that there is no sustainable guarantee that any of the achieved results will remain, or be built upon. In accordance with these conclusions, recommendation is issued that openness should become policy in all the countries in the region. The research was conducted by analysis of institution’s websites, but also using the questionnaire, communicated directly to the institutions. In some cases, researchers never got any answers to questions they directed toward the institutions, which affected the results to a certain extent. During the discussion, in which many of the participants took part, new areas for potential research were open, and interesting experiences were exchanged. 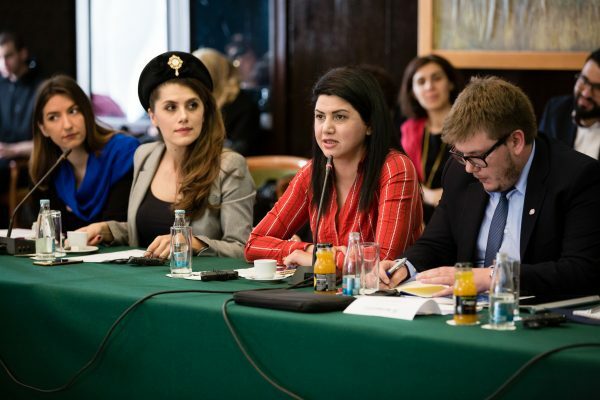 The participant from Macedonia said that society in the region needs deep change that will involve not only the institutions, but also citizens, and change of culture about why and how important transparency and accountability are. The participant from Iraq Kurdistan compared experience of her organizations that conducted similar research 2 years ago, but after they distributed the results, no change has been achieved. Learning from that lesson, she suggested it would be useful to follow the implementation of the recommendations drawn from the research. In the near future, the network will publish roadmaps for each of the countries and institutions, with specific recommendations on how to improve the scores and values of indicators. The members of the network have several plans on how to contribute to change in this area. “This is like a tool to help to effectively promote the change. But, it is the first time somebody is doing something like this in the region, so we will see how it will work,” network members concluded. During the second panel, detailed analyses of the parliamentary openness in the region were presented by representatives from the network. General conclusion is that the situation is the best in Montenegro, which still does not mean that it’s good. However, based on the research, the Parliament of Montenegro is the most transparent legislative body in the region, with 85% of criteria of openness fulfilled. The Parliament in Montenegro publishes all work programs and work reports for the previous three years, texts of law proposals, adopted laws, amendments, and information on public procurements as well. However, there is still a lot room for improvement. More details on the findings could be found here. In Serbia, analysis showed that legislative authorities meet 59% of openness indicators. This result shows there’s a need to significantly improve the openness of legislative bodies in this country. For more, see here. In Macedonia, although the Parliament, is the most open compared to executive and judicial branches of government in the state, its score of 59% under indicators on openness ranks the below the average of 63% calculated for openness of parliaments in the region. More details can be found here. In Bosnia, having in mind its complicated administrative structure, the research had to include three government levels instead of just one, and it showed that the legislative branch of government in BiH meets just over half (51%) of indicators of openness, making it the least open in the region. Five legislative institutions were followed: both houses of the Parliamentary Assembly of BiH, both houses of the Parliament of Federation of BiH, and the National Assembly of Republika Srpska. Based on the results, the legislative institutions fulfill only 48% of indicators concerning the principle of accessibility, with the most indicators being fulfilled in terms of access to information (53%) and the least when it comes to the interaction with the citizens (a little under 37%). For more, see here. In Albania, the Parliament meets 60% of indicators of openness, which is not as bad of a result, but also points to room for improvement. For more, see here. In Kosovo, the Parliament scored 60% in the indicators of openness, sharing second place with Albania in the ranking of Western Balkan assemblies. Like in other countries, Kosovo’s Parliament fails to evaluate the effectiveness and impact of its laws, whether those being prepared or those already in force. For more, see here.